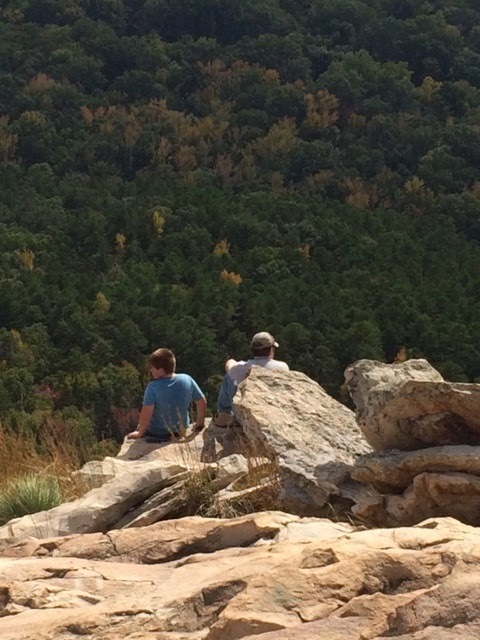 Downdogs and Deadlines: Family Time on a Mountain: Way Better Than Minecraft! 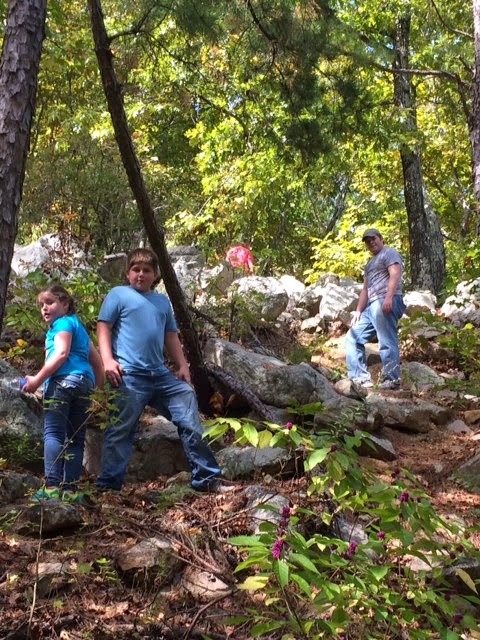 Family Time on a Mountain: Way Better Than Minecraft! I've always said I'd rather give my kids experiences than things. To be honest, they have most of the "things" they've asked for. But when I consider gifts or vacations I try and look at what can we do and not what can we buy? When my sister and I were kids my parents took us on vacation to a different state each summer. I still remember sitting along Mirror Lake New Hampshire listening to the Loons as they swam on the lake. We toured the Baseball Hall of Fame in upstate New York with my dad. We even camped along the Canadian side of Niagara Falls. But I don't remember a single souvenir or thing that I bought any of those summers. Being a military family for twenty years meant we moved every few years. But it also gave my kids the opportunity to see new places and experience new adventures. The travel bug seems to have caught each of the kids as well. Both kids 2 and 4 have worked extra hard these past two years to pay their way through non-family trips to Washington DC, Philadelphia, California and Colorado. Kid 3 is campaigning hard to get permission to travel to ComicCon next year (he's closer to having my permission than he knows) and the other kids have their own dreams and plans as well. official family vacation since before the divorce. Unfortunately, Kid 1 had to stay home and work. 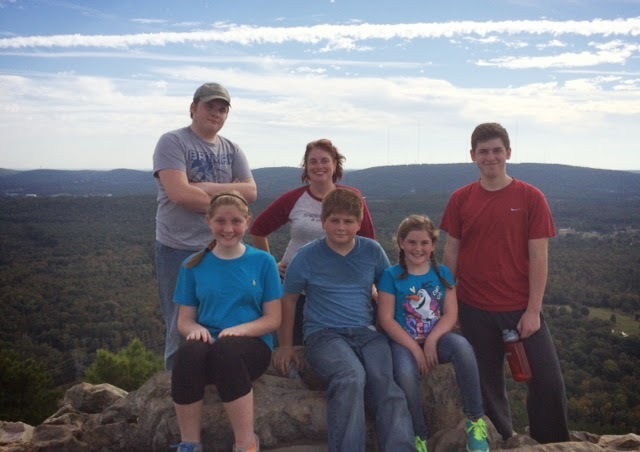 So me and the other five kids packed up the car and headed off for a long weekend trip to Pinnacle Mountain Arkansas. 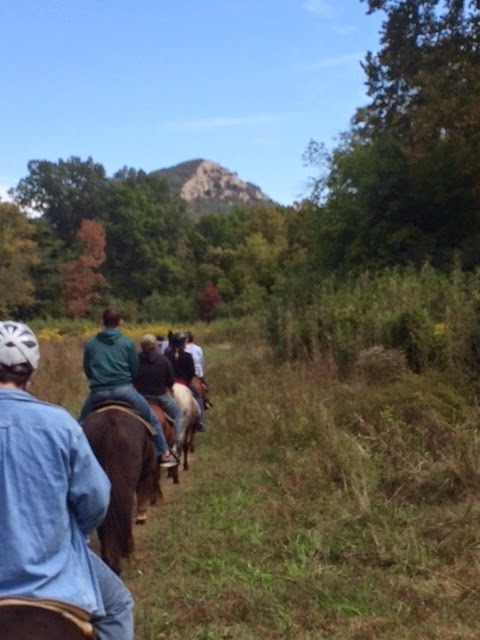 We rode horses, hiked, went to the State Fair, and explored a World War II submarine. There was lots of laughter and few squabbles. I knew my "experiences not things" motto was working when one of the kids momentarily stopped scrambling up the mountain, turned around and said "this is even better than Minecraft!" It makes this momma's heart happy to see how when the kids are removed from their daily routine they connect and really seem to enjoy being together. Kids 2 and 4 - the two who normally argue over who is right - paired off on the hike up and down the mountain. Kid 3, the most quiet of my crew, and kid 5, the most sensitive of the family, also paired off. More than once on the 5 mile hike up, down and around the mountain those two ventured off on their own to sit and take in the view. Later that evening we all reached the over-tired laughter on the verge of tears point and I had to remind them that we were in a hotel and the people in the next room might not enjoy hearing the hysterics coming from our room. Although, even if we did get a little too loud, I hope it's a memory the kids will always smile and remember.